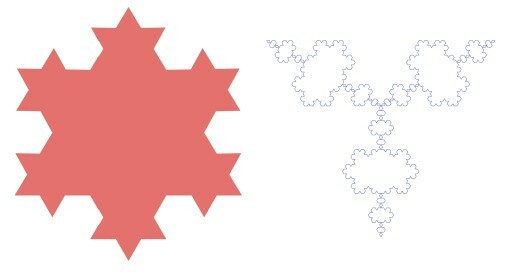 The user can choose the color, the drawing mode (Fill/Stroke), the fractal picture's depth. You can save the picture as a TIFF picture (Apple-S). The software is localised in French and English. 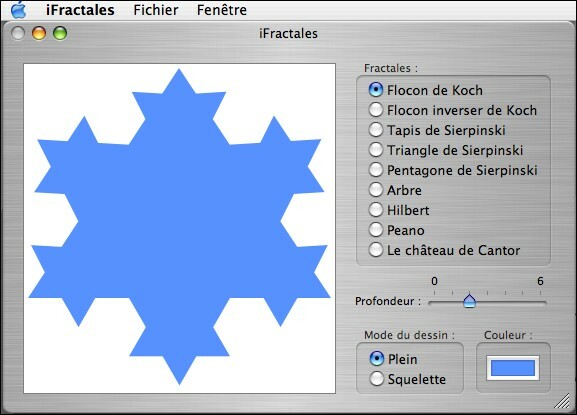 iFractales is delivered in Freeware, that is to say it's free (it can be sold under no circumstances ! ). But if my software pleases you, even so you can send me a little bit of money, a postcard or an E-mail in order to encourage me to create other softwares or improve this one. 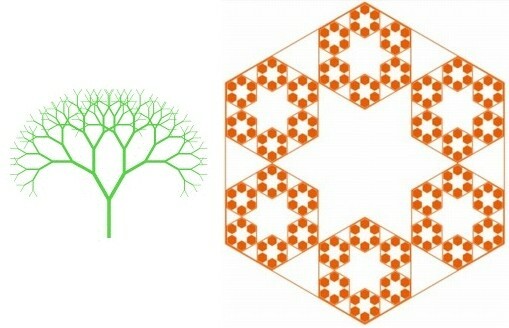 Distribution of iFractales and documentation are unrestricted, so long as the documentation and software are maintained together, unmodified , in the distribution. You can deliver my software on CD-Rom in condition that it is delivered freely (I wish to be kept informed).